Notes RamónTasat and two fellow musicians, César Lerner and Marcelo Moguilevsky, met for the enjoyment of playing and singing together. They soon discovered how devoted each was to the music and how positively they were affected by their interactions. 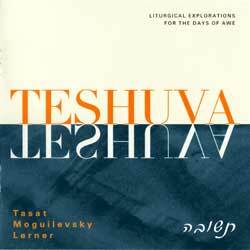 The result was the creation of a unique and innovative way to experience liturgical prayers as heard on this album.